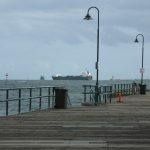 It was busy at Station Pier on the blustery March day I popped down to take a look, my first time at Port Melbourne since I had come as a seven year old on the ship that brought my family here from the UK in 1967, the HMS Himalaya. I don’t have too many memories from that day 50+ years ago, though I do remember an extraordinarily red sunrise as we steamed into Melbourne, and I seem to recall it being dull and cloudy all day, maybe even drizzly; all of which came as a shock for this kid who had been told all about Australia’s sun, sea and sand. 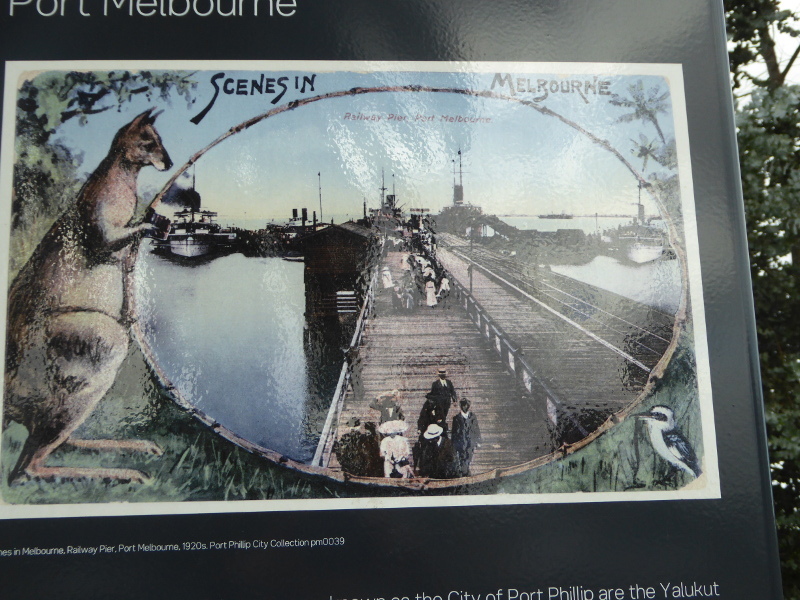 But I guess Melbourne’s climate was a bit different back then. The barriers to Station Pier these days mean that when cruise ships are in, pedestrians out for a blow can’t just wander down to wave the ships off now – or sit and read a book with legs dangling over the edge, as the Italian girl I mention in my People Connected section did a decade or so even before my childhood visit. There is a nice old photo from the 1920s on display by the pier entrance from the days when this was called the Railway Pier, and there were indeed rail tracks onto the pier itself in those days (note the controversy in history below which explains why there are no such railway lines on the 1930 remodelled Station Pier, which still stands today). Then I spotted that just over on the other side of the road leading onto the pier itself, there was a fairly long boardwalk running parallel to the pier, which could almost count as a pier in its own right, so that gave me a good chance to take a longer look at Station Pier from different perspectives. 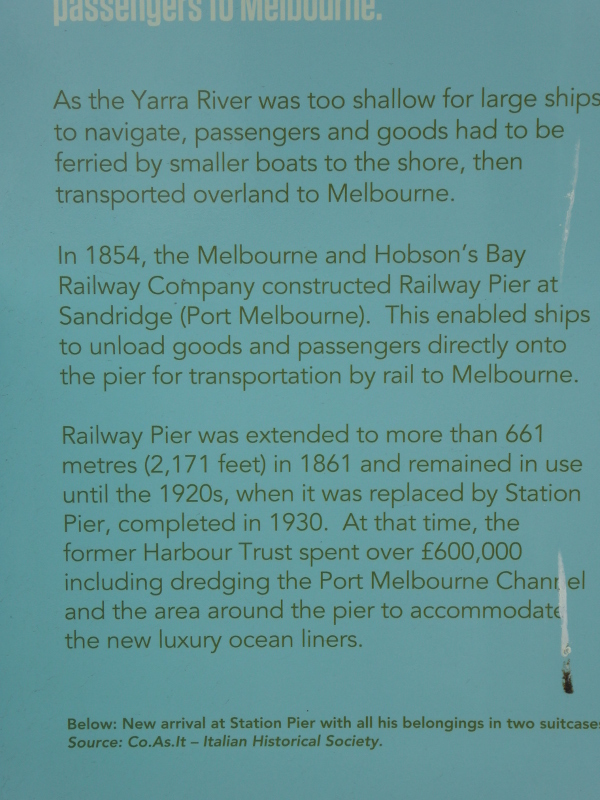 Here there was a whole series of information boards telling (part of) the story of Station Pier. 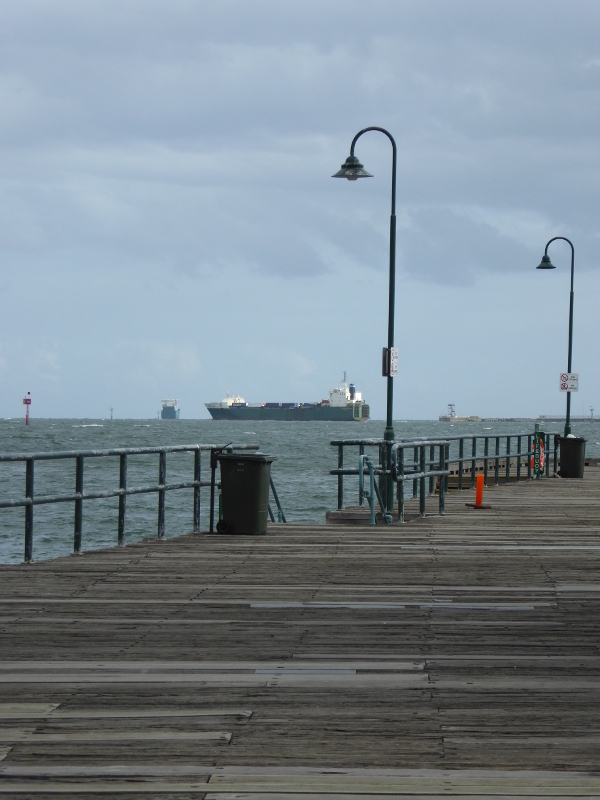 The crane stands majestically a few yards along this section of pier. 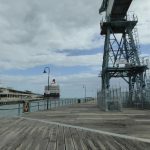 It’s one of the cranes that would have loaded and unloaded ships at Station Pier for many years after its installation in 1949. It’s a reconstruction, but it still looks pretty impressive, even though no longer in use. I actually couldn’t work out why this separate section of boardwalk existed, though it clearly had its use as a place to tie up fairly sizeable boats given the mooring pillars that still stand on it today. Can anyone help out with information on this? What it did do was give me a 200m or so walk onto into the harbour, to get a different angle on the side of Station Pier itself, to feel the stiff breeze blowing even in such a sheltered spot as this, and to watch just how much activity there still is out on the water here near Port Melbourne, with smaller vessels weaving their way around the large freight ship further out into the bay. When my family came out to Australia in 1967, we knew we were here only for my Dad’s work for a year, but for most people arriving for the first time here at Station Pier, this was a momentous milestone, stepping foot on Australian land for the first time as new arrivals to start a whole new life thousands of miles from home. I loved my search through Trove to find stories about what happened on or near Station Pier through the years, but I even liked reading the daily Shipping News as newspapers recorded which ship would be arriving here from which country, bringing with them another batch of new Australians. 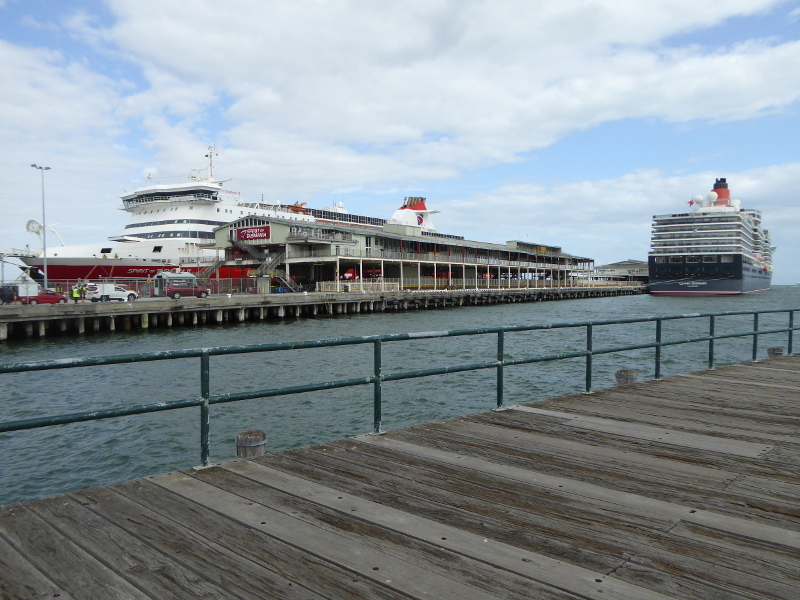 Somehow the ferry to Tasmania and the cruise ships don’t quite match up, do they? But it’s still a great place to come for a stroll and dream. 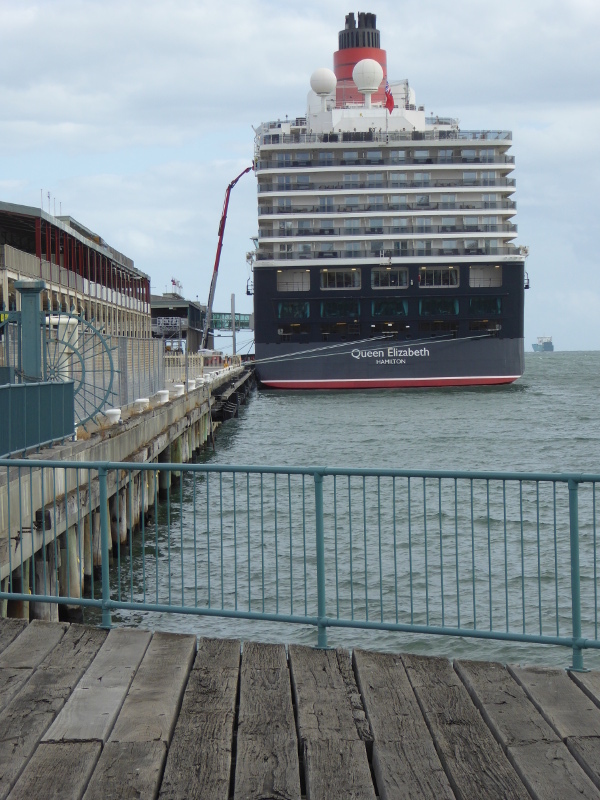 If cruise ships are berthed at the Pier, no entry to the Station Pier itself unless you are travelling. 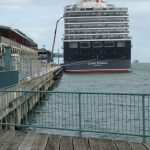 Check the Vic Ports website for more information. Because I didn’t get onto the pier itself this time, I can’t yet say if there are any facilities beyond the Station Pier entrance. Will return another time to check this. Tram route from the centre of Melbourne ends just over the road from the pier. 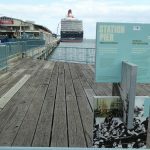 The Station Pier website and the information boards down on the decking near the pier are both pretty good at telling good stories. 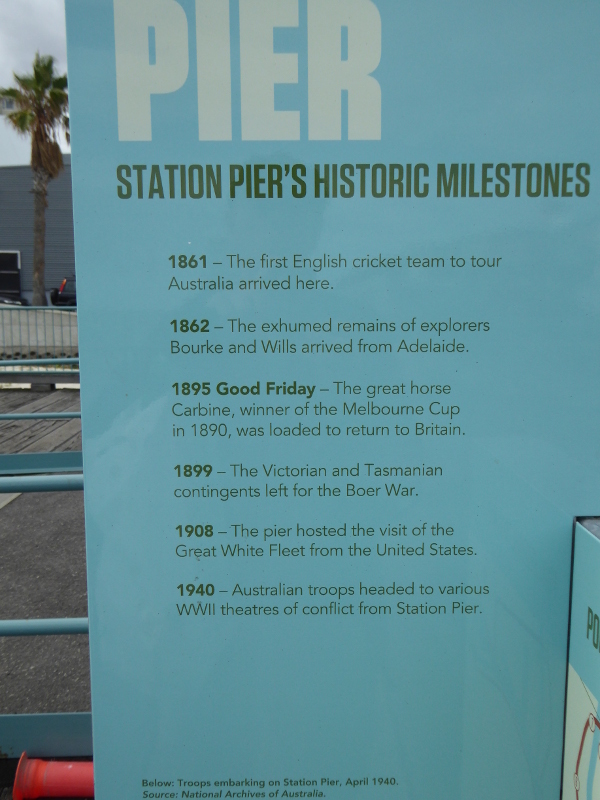 I reckon the person who wrote the Station Pier timeline has a similar approach to history as me, where it is the story-telling that counts rather than facts, as such. Gold rush arrivals in the 1850s, not long after it was built in 1854 (though then called Railway Pier). In 1861 the first English cricket team to tour Australia arrived in 1861, and a year after that the remains of Burke & Wills arrived from Adelaide. 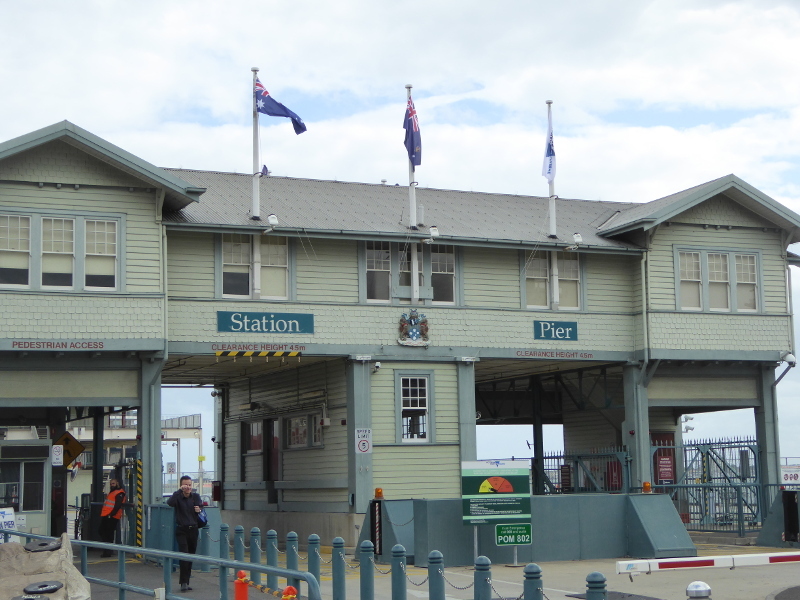 In 1930 the pier was realigned and renamed Station Pier. And since it really replaced Railway Pier completely, I’m going to focus on the ‘new’ Station Pier only here. But the official opening day of the new Station Pier, when all its planned facilities were up and running only happened on 15 September 1930, and without any particular fanfare. The lack of grand opening was probably (I am guessing) because the work had gone about four years beyond original scheduling due mainly to industrial disputes at both the Melbourne docks and in Sydney, from where many of the supplies for the new pier were to be shipped. 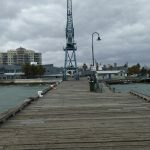 But it also seemed to be down to an ongoing dispute between two government departments (Harbours and Railways) over who was responsible for ensuring rail tracks would take passengers onto the wharf alongside the ships they were to board. The result was – and still is in 2019 – that there were no rail tracks to the berths, meaning passengers had to lug their luggage (!) all the way from where trams or trains stopped onto the pier. So the fact that there was no public ceremony in 1930 probably has as much due to this ongoing dispute. How embarrassing – and there’s no mention of that on the information boards on display today. 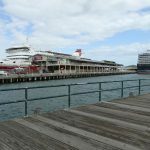 It was in the post war period that the pier became such a focal point for the mass immigration from Europe that brought in some 60,000 new Australians a year to Melbourne between 1949 and 1966. By the time this blogger arrived as a small child in 1967, immigration had started to drop from its peak of 110,000 in 1960. 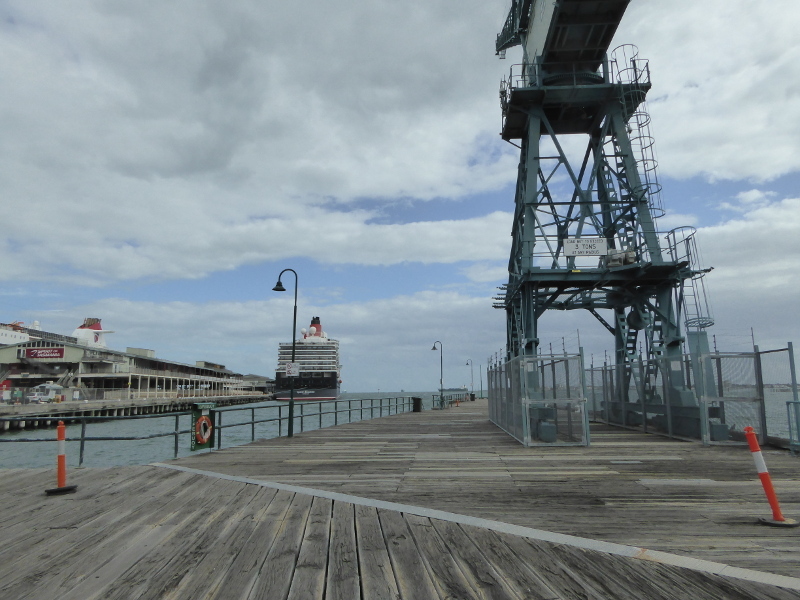 The last immigrant ship to arrive at Station Pier was the Australis in 1978. There were also many tales from the pier of love and heartbreak. With ships full of new immigrants arriving every week in the 1950s, there was many a couple reunited and relationships formed on the boats over to Australia. But sometimes there was heartache down at the pier, too. One Rudo Wynands was a German mechanic who came over ahead of his girlfriend in 1955 to set up a new life in Melbourne. 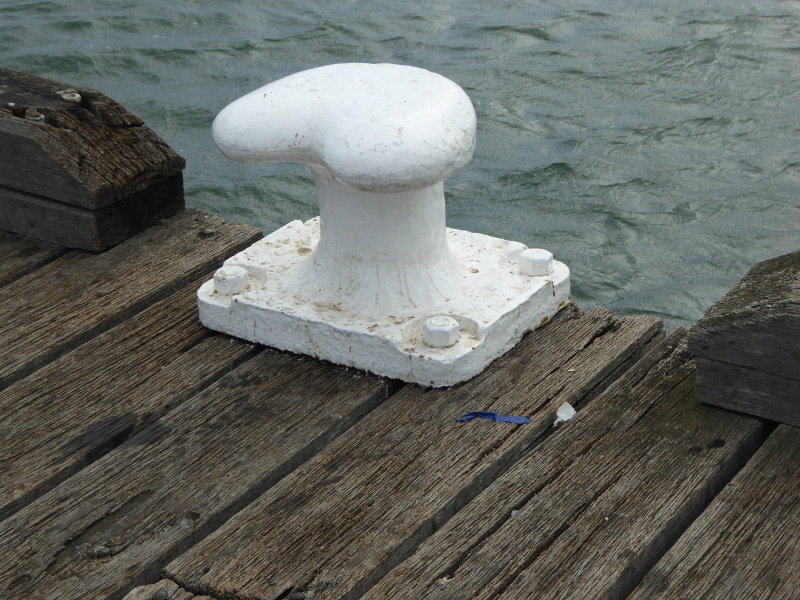 But when he went to the Station Pier to meet her boat, he discovered she had fallen in love with someone else on board. The journalist who covered his story then took Rudo down to Station Pier a few months later to meet 90 single women from Germany and Austria, who had come down to ‘find a man’ (a 1950s version of today’s Married at First Sight, or Bachelorette, almost). He helped interpret for the reporter but said he had found a ‘fair dinkum’ Aussie girl and was happy now! Loula Stasinaki was an 18 year old in 1956 when she fell off the end of Station Pier and had to be rescued by workmen. She later said she had arrived from Italy a few months earlier at Station Pier and fancied a walk down to the end. She was dangling her feet over the edge and reading her book when she suddenly became dizzy and then lost consciousness, with no memory of what then happened when she did recover after being saved. She’d be 81 now if she’s still alive – I wonder if she remembers that day? I really liked this piece in The Age newspaper in 2004 with some nice stories from an elderly local lady. Roger Gould Photographer has some great old historical photos of Station Pier from his father’s collection. 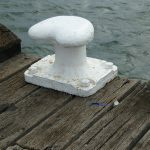 The White Hat website has a tiny bit more on Station Pier than some other sites. 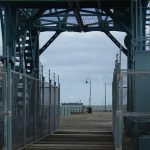 The Port Places website wrote about Station Pier just before that Piers Festival. Some interesting observations from a long-time local. 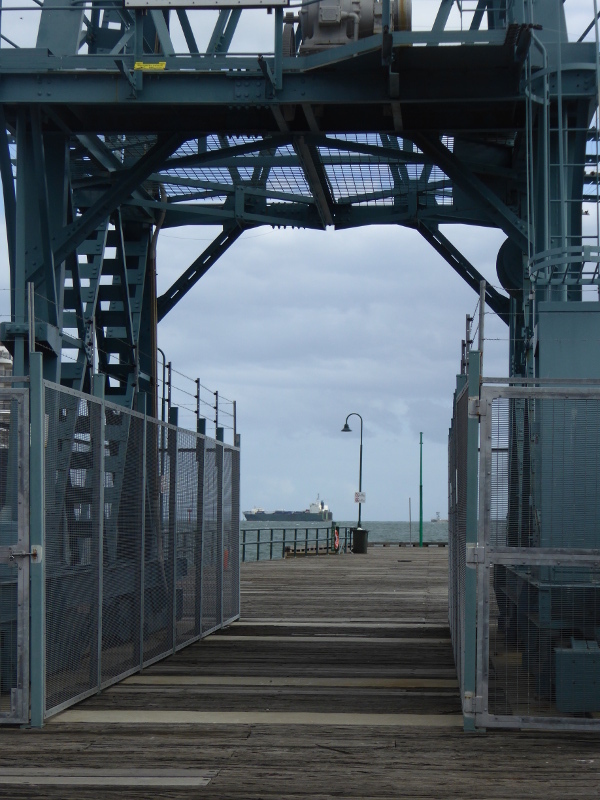 This is the Victorian Heritage Council entry on Station Pier. 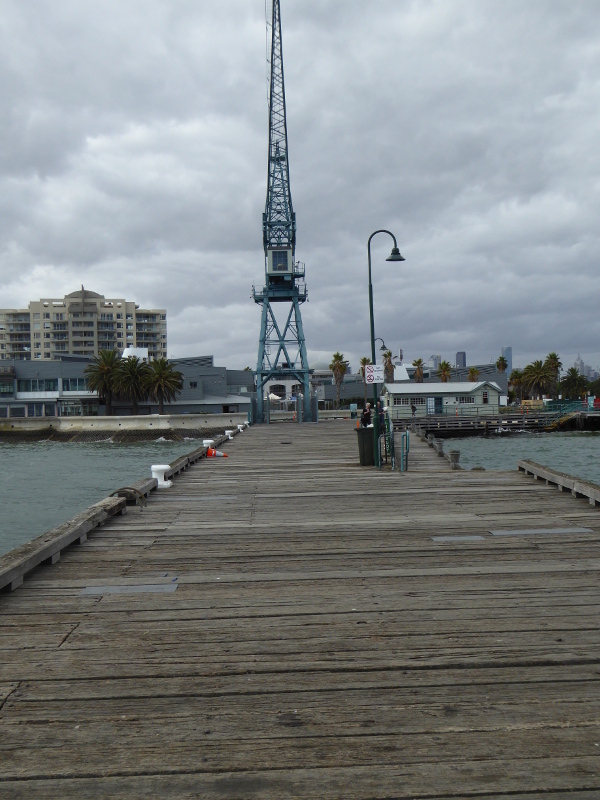 The Lovell Chen architectural practice had a piece on those cranes that used to work the Station Pier. 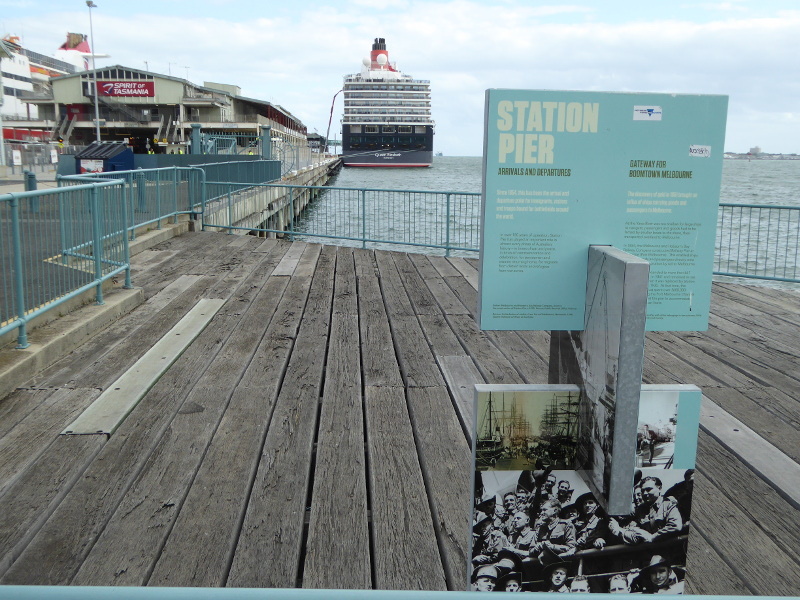 What are your stories and memories of Station Pier? 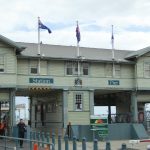 Did anybody reading this make their first arrival in Australia at Station Pier, Melbourne? What memories do you have of that day? Has someone got a good tale to tell from a more recent boat trip off Station Pier, maybe on a cruise or heading off to Tasmania? Or do you just have good memories of a romantic stroll or maybe a holiday trip that involved a visit to the pier? Coffee near or tea on the pier?